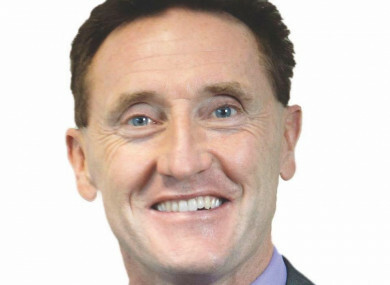 Louth TD Peter Fitzpatrick looks set to run as an independent in the next election. IN A BLOW to the government Louth TD Peter Fitzpatrick has said he is seriously considering running as an independent candidate in the next election. The Fine Gael deputy was not up for selection at convention last night, after announcing several weeks ago that he would not put his name forward for consideration. As first reported in the Argus in early September, and today by the Times Ireland edition Fitzpatrick’s timing, just days before budget 2019, is likely to cause considerable concern for Fine Gael HQ including an Taoiseach Leo Varadkar. Speaking to TheJournal.ie Fitzpatrick said he wanted to do things right by the party out of respect for his colleagues. I have enjoyed my time in politics, but I feel I have a lot more to give and I won’t be walking away from politics. Fitzpatrick is to meet with his team over the course of this weekend and is due to issue a statement on Tuesday morning on his intentions. We’re spending billions on health and yet we’re still having problems. There’s not a day that goes by that I don’t have someone coming into my office to raise health related issues. Fitzpatrick said he will take time over the course of this weekend to make his final decision, but that he is “seriously considering” going down the independent route. I want to show my respect to the party. This is my future and I want to do everything right. It’s expected Fitzpatrick will announce on Tuesday that he will contest the next election as an independent and will not align himself to any of the independent groups currently in Leinster house. The decision is likely to cause concern amongst Fine Gael hierarchy with the Budget only a matter of days away and the party holding on to a slim majority in the Dáil. Sitting TD Fergus O’Dowd and Louth Councillor John McGahon were selected for the Fine Gael ticket in the next election at last night’s convention. McGahon’s late uncle Brendan was a former TD for the constituency. Email “Louth Fine Gael TD Peter Fitzpatrick 'seriously considering' running as an independent”. Feedback on “Louth Fine Gael TD Peter Fitzpatrick 'seriously considering' running as an independent”.